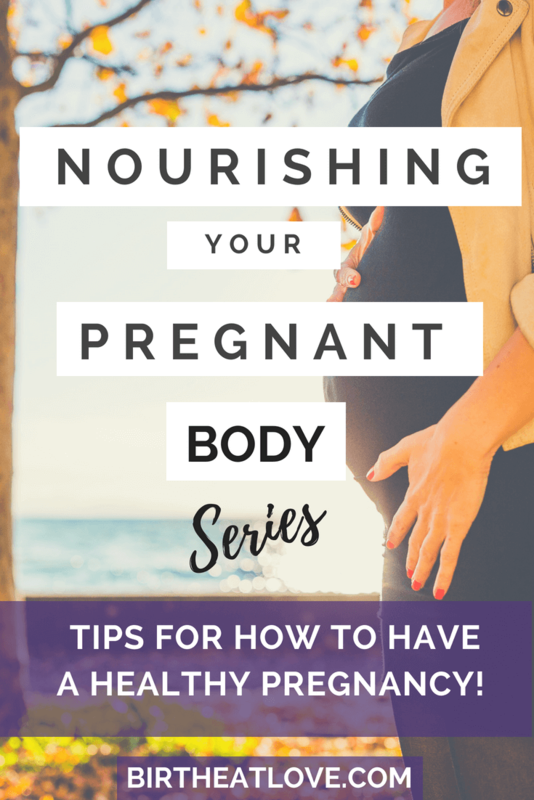 This 4 Part Series is all about nourishing your pregnant body! 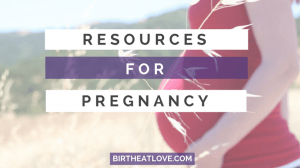 Here you will find a guide to holistic pregnancy starting with nourishing your body with nutrient dense foods. A healthy pregnancy starts with what you put in your body! Learn the common pregnancy eating mistakes many women make during pregnancy and how to avoid them. 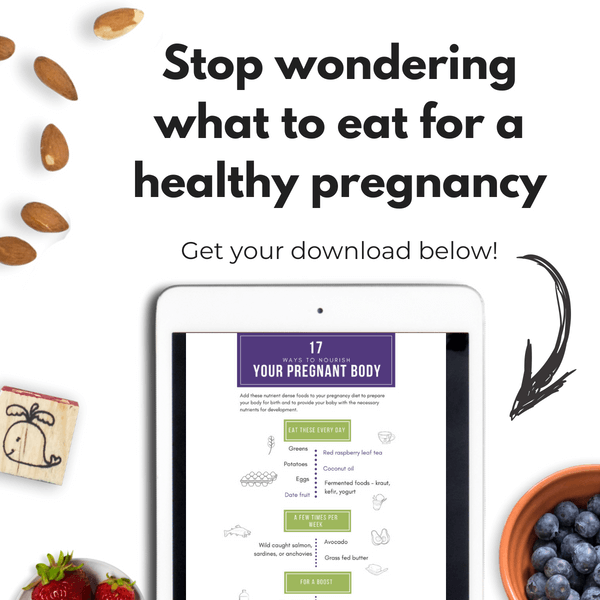 Make sure to download the free PDF below featuring 17 Ways to Nourish Your Pregnant Body. This PDF will give you a good place to start with boosting your body with nutrient dense superfoods so that you can have more energy and grow a healthy baby. When you eat the right foods for your body, you feel well. You naturally have energy and feel more positive. By feeding your body nourishing foods, you can alleviate common pregnancy symptoms and discomforts. Pregnancy discomforts can be improved by adding nutrient dense foods and following the basic principles of nourishing your pregnant body. 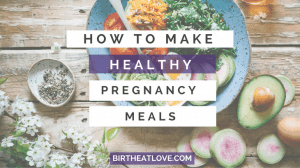 By taking a holistic approach to pregnancy, and realizing the importance of healthy eating, positive mindset and exercise, you can have a healthier pregnancy. Relieve pregnancy eczema, psoriasis, dermatitis? 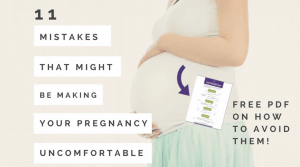 Prevent preeclampsia and gestational diabetes? Then follow along because this series is for you! These are the seven principles that I developed after 4 pregnancies to help demystify what to eat during pregnancy. This is by no means a complete list. It’s just a good place to start. And as always, do your own research and consult your care giver when making decisions about your pregnancy. That means a fresh peach vs a fruit cup. Choose fresh ingredients whenever possible over products out of a box or can. Take time to read labels. Choose low processed products with real, quality ingredients. Coconut oil, olive oil, avocado oil, and grass-fed butter should replace vegetable oils. Add healthy fats to everything you cook. As much as possible rely on nutrient dense food to provide your nutrition. Supplements are just that, a “supplement” and cannot replace a healthy pregnancy diet. Prepare recipes that contain nutrient dense foods everyday. Cut high fructose corn syrup, refined sugar and artificial sugar from your diet. Replace it with raw honey (this is my favorite one) and/or maple syrup. This can help to prevent things like gestational diabetes and preeclampsia. Are you experiencing any digestive issues or increased inflammation (acne, eczema, psoriasis)? Reducing or eliminating wheat and/or grains may be beneficial. It was for me! 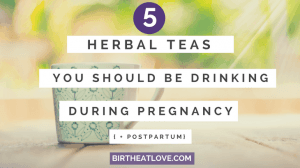 There are so many beneficial herbs for pregnancy. You can drink herbal tea(infusions), or use them to spice your food. Adding fresh or dried herbs to your meals boosts the nutrients, the taste and your immune system. Having a healthy gut is not only important for your overall health, but also for your baby’s. A mother’s gut bacteria establishes that of her child. Gut bacteria is carried for years to come. It establishes the health of a person for their lifetime. So needless to say – it is super important to focus on having a healthy gut system during pregnancy. You can do this by adding in fermented foods and/or taking probiotics during pregnancy. Keep these basic principles in mind when making decisions about what to eat during your pregnancy. 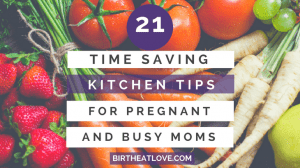 If figuring out what to eat during pregnancy and meal planning is just all a little too much for you, I feel you! It can be overwhelming thinking about all the moving pieces of actually getting healthy meals on the table, especially, if you have never done it before. Sign up for our email list below to get healthy pregnancy tips and ideas on how to stock your fridge for motherhood!